FUEL EFFICIENT 30 MPG Hwy/22 MPG City! Solar Yellow (Vr exterior, Latitude trim. Keyless Start, Dual Zone A/C, Smart Device Integration, Turbo Charged Engine, TRANSMISSION: 9-SPEED 948TE AUTOMATIC... ENGINE: 2.4L I4 MULTIAIR, Back-Up Camera, Bluetooth, iPod/MP3 Input, Satellite Radio. Warranty 5 yrs/60k Miles - Drivetrain Warranty;KEY FEATURES INCLUDEBack-Up Camera, Turbocharged, Satellite Radio, iPod/MP3 Input, Bluetooth, Keyless Start, Dual Zone A/C, Smart Device Integration. 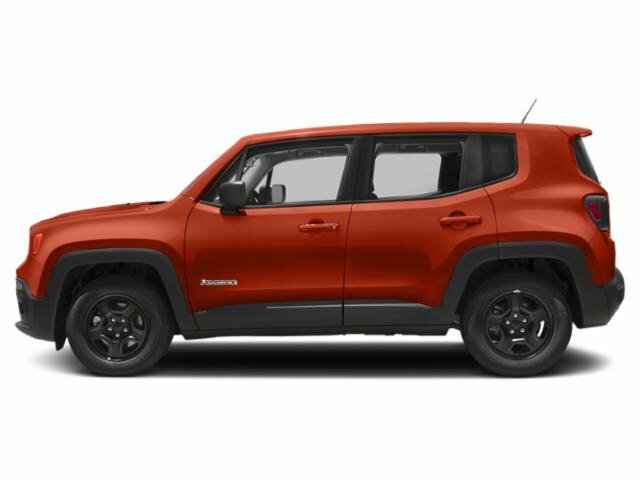 Rear Spoiler, MP3 Player, Privacy Glass, Keyless Entry, Steering Wheel Controls.OPTION PACKAGESENGINE: 2.4L I4 MULTIAIR 3.734 Final Drive Ratio, Wheels: 17 x 7.0 Aluminum, Engine Oil Cooler, Flex Fuel Vehicle, Tires: 215/60R17 BSW AS Touring, Zero Evaporate Emissions Control System, TRANSMISSION: 9-SPEED 948TE AUTOMATIC Vinyl Shift Knob.VEHICLE REVIEWSKBB.com explains The 2018 Jeep Renegade doesn't just look more rugged and off-road capable than its rivals in the compact SUV class, it actually is.. Great Gas Mileage: 30 MPG Hwy.WHY BUY FROM USBaxter Chrysler Dodge Jeep Ram Bellevue, a full-service car dealership in Bellevue, is your source for new cars, trucks and SUVs both online and in our showroom. We also sell used vehicles and certified pre-owned vehicles. At our 7713 South 19th Circle location, we also provide Mopar parts and auto repair service. We're part of Baxter Auto Group, the largest dealer group in Nebraska.Fuel economy calculations based on original manufacturer data for trim engine configuration. Please confirm the accuracy of the included equipment by calling us prior to purchase. EPA 30 MPG Hwy/22 MPG City! Keyless Start, Dual Zone A/C, Smart Device Integration, Turbo Charged Engine, TRANSMISSION: 9-SPEED 948TE AUTOMATIC... ENGINE: 2.4L I4 ZERO EVAP M-AIR, Back-Up Camera, Bluetooth, iPod/MP3 Input, Satellite Radio. Latitude trim, Alpine White (Vr exterior. Warranty 5 yrs/60k Miles - Drivetrain Warranty;KEY FEATURES INCLUDEBack-Up Camera, Turbocharged, Satellite Radio, iPod/MP3 Input, Bluetooth, Keyless Start, Dual Zone A/C, Smart Device Integration Rear Spoiler, MP3 Player, Privacy Glass, Keyless Entry, Steering Wheel Controls.OPTION PACKAGESENGINE: 2.4L I4 ZERO EVAP M-AIR 3.734 Final Drive Ratio, Wheels: 17 x 7.0 Aluminum, Engine Oil Cooler, Tires: 215/60R17 BSW AS Touring, Zero Evaporate Emissions Control System, TRANSMISSION: 9-SPEED 948TE AUTOMATIC Vinyl Shift Knob.VEHICLE REVIEWSKBB.com explains The 2018 Jeep Renegade doesn't just look more rugged and off-road capable than its rivals in the compact SUV class, it actually is.. Great Gas Mileage: 30 MPG Hwy.Fuel economy calculations based on original manufacturer data for trim engine configuration. Please confirm the accuracy of the included equipment by calling us prior to purchase. Keyless Start, Dual Zone A/C, Smart Device Integration, Turbo, TRANSMISSION: 9-SPEED 948TE AUTOMATIC... ENGINE: 2.4L I4 MULTIAIR, Back-Up Camera, Bluetooth, iPod/MP3 Input, Satellite Radio. Latitude trim, Omaha Orange (Vr exterior. FUEL EFFICIENT 30 MPG Hwy/22 MPG City! Warranty 5 yrs/60k Miles - Drivetrain Warranty;KEY FEATURES INCLUDEBack-Up Camera, Turbocharged, Satellite Radio, iPod/MP3 Input, Bluetooth, Keyless Start, Dual Zone A/C, Smart Device Integration Rear Spoiler, MP3 Player, Privacy Glass, Keyless Entry, Steering Wheel Controls.OPTION PACKAGESENGINE: 2.4L I4 MULTIAIR 3.734 Final Drive Ratio, Wheels: 17 x 7.0 Aluminum, Engine Oil Cooler, Flex Fuel Vehicle, Tires: 215/60R17 BSW AS Touring, Zero Evaporate Emissions Control System, TRANSMISSION: 9-SPEED 948TE AUTOMATIC Vinyl Shift Knob.EXPERTS CONCLUDEKBB.com explains The 2018 Jeep Renegade doesn't just look more rugged and off-road capable than its rivals in the compact SUV class, it actually is.. Great Gas Mileage: 30 MPG Hwy.WHO WE AREBaxter Chrysler Dodge Jeep Ram Bellevue, a full-service car dealership in Bellevue, is your source for new cars, trucks and SUVs both online and in our showroom. We also sell used vehicles and certified pre-owned vehicles. At our 7713 South 19th Circle location, we also provide Mopar parts and auto repair service. We're part of Baxter Auto Group, the largest dealer group in Nebraska.Fuel economy calculations based on original manufacturer data for trim engine configuration. Please confirm the accuracy of the included equipment by calling us prior to purchase. S trim. FUEL EFFICIENT 29 MPG Hwy/21 MPG City! Flex Fuel, Back-Up Camera, iPod/MP3 Input, Onboard Communications System, Smart Device Integration. Warranty 5 yrs/60k Miles - Drivetrain Warranty; READ MORE!KEY FEATURES INCLUDEBack-Up Camera, Flex Fuel, iPod/MP3 Input, Onboard Communications System, Smart Device Integration. Rear Spoiler, MP3 Player, Keyless Entry, Steering Wheel Controls, Child Safety Locks.EXPERTS CONCLUDEEdmunds.com's review says The 2019 Ford Escape is a rare breed of compact crossover that deftly blends performance and utility. Sporty handling and a powerful turbocharged engine make the Escape drive more like a sedan, without sacrificing SUV versatility, making it a best-of-both-worlds choice.. Great Gas Mileage: 29 MPG Hwy.OUR OFFERINGSBaxter Ford West Dodge, a full-service Ford dealership in Omaha, is your source for new Ford cars, trucks, vans and SUVs both online and in our showroom. We also sell used vehicles and certified pre-owned Fords. At our 18505 California Street (185th & Dodge) location, we also provide parts and auto repair service. We're part of Baxter Auto, the largest dealer group in Nebraska.Fuel economy calculations based on original manufacturer data for trim engine configuration. Please confirm the accuracy of the included equipment by calling us prior to purchase. S trim. FUEL EFFICIENT 29 MPG Hwy/21 MPG City! Smart Device Integration, Back-Up Camera, Flex Fuel, Onboard Communications System, iPod/MP3 Input. Warranty 5 yrs/60k Miles - Drivetrain Warranty; SEE MORE!KEY FEATURES INCLUDEBack-Up Camera, Flex Fuel, iPod/MP3 Input, Onboard Communications System, Smart Device Integration. Rear Spoiler, MP3 Player, Keyless Entry, Steering Wheel Controls, Child Safety Locks.EXPERTS RAVEGreat Gas Mileage: 29 MPG Hwy.WHY BUY FROM USBaxter Ford West Dodge, a full-service Ford dealership in Omaha, is your source for new Ford cars, trucks, vans and SUVs both online and in our showroom. We also sell used vehicles and certified pre-owned Fords. At our 18505 California Street (185th & Dodge) location, we also provide parts and auto repair service. We're part of Baxter Auto, the largest dealer group in Nebraska.Fuel economy calculations based on original manufacturer data for trim engine configuration. Please confirm the accuracy of the included equipment by calling us prior to purchase. EPA 29 MPG Hwy/21 MPG City! S trim. Smart Device Integration, Back-Up Camera, Flex Fuel, Onboard Communications System, iPod/MP3 Input. Warranty 5 yrs/60k Miles - Drivetrain Warranty; AND MORE!KEY FEATURES INCLUDEBack-Up Camera, Flex Fuel, iPod/MP3 Input, Onboard Communications System, Smart Device Integration. Rear Spoiler, MP3 Player, Keyless Entry, Steering Wheel Controls, Child Safety Locks.EXPERTS CONCLUDEGreat Gas Mileage: 29 MPG Hwy.BUY FROM AN AWARD WINNING DEALERBaxter Ford West Dodge, a full-service Ford dealership in Omaha, is your source for new Ford cars, trucks, vans and SUVs both online and in our showroom. We also sell used vehicles and certified pre-owned Fords. At our 18505 California Street (185th & Dodge) location, we also provide parts and auto repair service. We're part of Baxter Auto, the largest dealer group in Nebraska.Fuel economy calculations based on original manufacturer data for trim engine configuration. Please confirm the accuracy of the included equipment by calling us prior to purchase. S trim. EPA 29 MPG Hwy/21 MPG City! Smart Device Integration, Flex Fuel, Back-Up Camera, Onboard Communications System, iPod/MP3 Input. Warranty 5 yrs/60k Miles - Drivetrain Warranty; SEE MORE!KEY FEATURES INCLUDEBack-Up Camera, Flex Fuel, iPod/MP3 Input, Onboard Communications System, Smart Device Integration Rear Spoiler, MP3 Player, Keyless Entry, Steering Wheel Controls, Child Safety Locks.VEHICLE REVIEWSGreat Gas Mileage: 29 MPG Hwy.VISIT US TODAYBaxter Ford West Dodge, a full-service Ford dealership in Omaha, is your source for new Ford cars, trucks, vans and SUVs both online and in our showroom. We also sell used vehicles and certified pre-owned Fords. At our 18505 California Street (185th & Dodge) location, we also provide parts and auto repair service. We're part of Baxter Auto, the largest dealer group in Nebraska.Fuel economy calculations based on original manufacturer data for trim engine configuration. Please confirm the accuracy of the included equipment by calling us prior to purchase. S trim. FUEL EFFICIENT 29 MPG Hwy/21 MPG City! Flex Fuel, Back-Up Camera, Onboard Communications System, Smart Device Integration, iPod/MP3 Input. 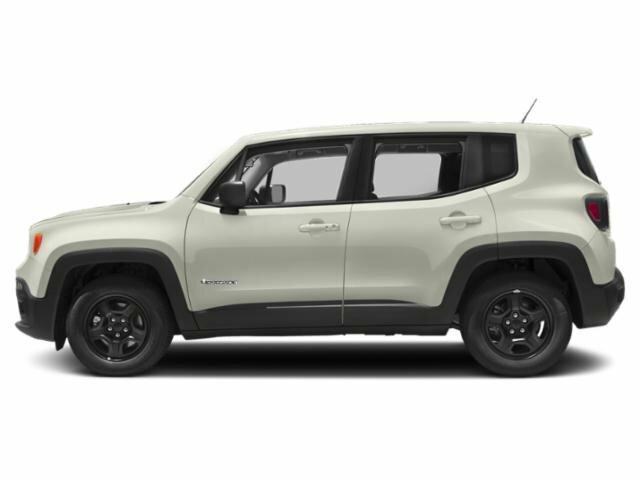 Warranty 5 yrs/60k Miles - Drivetrain Warranty; READ MORE!KEY FEATURES INCLUDEBack-Up Camera, Flex Fuel, iPod/MP3 Input, Onboard Communications System, Smart Device Integration Rear Spoiler, MP3 Player, Keyless Entry, Steering Wheel Controls, Child Safety Locks.EXPERTS ARE SAYINGEdmunds.com explains The 2019 Ford Escape is a rare breed of compact crossover that deftly blends performance and utility. Sporty handling and a powerful turbocharged engine make the Escape drive more like a sedan, without sacrificing SUV versatility, making it a best-of-both-worlds choice.. Great Gas Mileage: 29 MPG Hwy.MORE ABOUT USBaxter Ford West Dodge, a full-service Ford dealership in Omaha, is your source for new Ford cars, trucks, vans and SUVs both online and in our showroom. We also sell used vehicles and certified pre-owned Fords. At our 18505 California Street (185th & Dodge) location, we also provide parts and auto repair service. We're part of Baxter Auto, the largest dealer group in Nebraska.Fuel economy calculations based on original manufacturer data for trim engine configuration. Please confirm the accuracy of the included equipment by calling us prior to purchase. Back-Up Camera, Flex Fuel, iPod/MP3 Input, Smart Device Integration, Onboard Communications System. EPA 29 MPG Hwy/21 MPG City! S trim. Warranty 5 yrs/60k Miles - Drivetrain Warranty; SEE MORE!KEY FEATURES INCLUDEBack-Up Camera, Flex Fuel, iPod/MP3 Input, Onboard Communications System, Smart Device Integration. 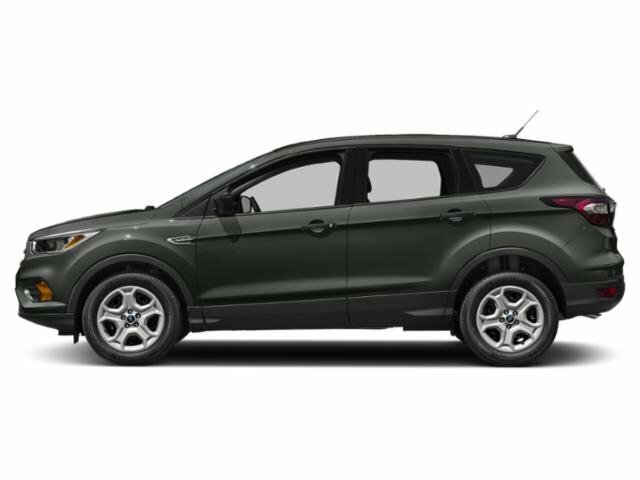 Rear Spoiler, MP3 Player, Keyless Entry, Steering Wheel Controls, Child Safety Locks.EXPERTS ARE SAYINGEdmunds.com explains The 2019 Ford Escape is a rare breed of compact crossover that deftly blends performance and utility. Sporty handling and a powerful turbocharged engine make the Escape drive more like a sedan, without sacrificing SUV versatility, making it a best-of-both-worlds choice.. Great Gas Mileage: 29 MPG Hwy.WHO WE AREBaxter Ford West Dodge, a full-service Ford dealership in Omaha, is your source for new Ford cars, trucks, vans and SUVs both online and in our showroom. We also sell used vehicles and certified pre-owned Fords. At our 18505 California Street (185th & Dodge) location, we also provide parts and auto repair service. We're part of Baxter Auto, the largest dealer group in Nebraska.Fuel economy calculations based on original manufacturer data for trim engine configuration. Please confirm the accuracy of the included equipment by calling us prior to purchase. EPA 29 MPG Hwy/21 MPG City! S trim. Smart Device Integration, Back-Up Camera, Flex Fuel, Onboard Communications System, iPod/MP3 Input. Warranty 5 yrs/60k Miles - Drivetrain Warranty; AND MORE!KEY FEATURES INCLUDEBack-Up Camera, Flex Fuel, iPod/MP3 Input, Onboard Communications System, Smart Device Integration. Rear Spoiler, MP3 Player, Keyless Entry, Steering Wheel Controls, Child Safety Locks.EXPERTS ARE SAYINGGreat Gas Mileage: 29 MPG Hwy.BUY FROM AN AWARD WINNING DEALERBaxter Ford West Dodge, a full-service Ford dealership in Omaha, is your source for new Ford cars, trucks, vans and SUVs both online and in our showroom. We also sell used vehicles and certified pre-owned Fords. At our 18505 California Street (185th & Dodge) location, we also provide parts and auto repair service. We're part of Baxter Auto, the largest dealer group in Nebraska.Fuel economy calculations based on original manufacturer data for trim engine configuration. Please confirm the accuracy of the included equipment by calling us prior to purchase. EPA 29 MPG Hwy/21 MPG City! Smart Device Integration, Back-Up Camera, Flex Fuel, Onboard Communications System, iPod/MP3 Input. S trim. Warranty 5 yrs/60k Miles - Drivetrain Warranty; CLICK ME!KEY FEATURES INCLUDEBack-Up Camera, Flex Fuel, iPod/MP3 Input, Onboard Communications System, Smart Device Integration. Rear Spoiler, MP3 Player, Keyless Entry, Steering Wheel Controls, Child Safety Locks.EXPERTS ARE SAYINGGreat Gas Mileage: 29 MPG Hwy.WHO WE AREBaxter Ford West Dodge, a full-service Ford dealership in Omaha, is your source for new Ford cars, trucks, vans and SUVs both online and in our showroom. We also sell used vehicles and certified pre-owned Fords. At our 18505 California Street (185th & Dodge) location, we also provide parts and auto repair service. We're part of Baxter Auto, the largest dealer group in Nebraska.Fuel economy calculations based on original manufacturer data for trim engine configuration. Please confirm the accuracy of the included equipment by calling us prior to purchase. EPA 29 MPG Hwy/21 MPG City! S trim. Smart Device Integration, Flex Fuel, Back-Up Camera, Onboard Communications System, iPod/MP3 Input. Warranty 5 yrs/60k Miles - Drivetrain Warranty; CLICK ME!KEY FEATURES INCLUDEBack-Up Camera, Flex Fuel, iPod/MP3 Input, Onboard Communications System, Smart Device Integration. Rear Spoiler, MP3 Player, Keyless Entry, Steering Wheel Controls, Child Safety Locks.EXPERTS REPORTGreat Gas Mileage: 29 MPG Hwy.WHY BUY FROM USBaxter Ford West Dodge, a full-service Ford dealership in Omaha, is your source for new Ford cars, trucks, vans and SUVs both online and in our showroom. We also sell used vehicles and certified pre-owned Fords. At our 18505 California Street (185th & Dodge) location, we also provide parts and auto repair service. We're part of Baxter Auto, the largest dealer group in Nebraska.Fuel economy calculations based on original manufacturer data for trim engine configuration. Please confirm the accuracy of the included equipment by calling us prior to purchase. S trim. FUEL EFFICIENT 29 MPG Hwy/21 MPG City! Back-Up Camera, Flex Fuel, iPod/MP3 Input, Smart Device Integration, Onboard Communications System. Warranty 5 yrs/60k Miles - Drivetrain Warranty; AND MORE!KEY FEATURES INCLUDEBack-Up Camera, Flex Fuel, iPod/MP3 Input, Onboard Communications System, Smart Device Integration. Rear Spoiler, MP3 Player, Keyless Entry, Steering Wheel Controls, Child Safety Locks.EXPERTS RAVEEdmunds.com's review says The 2019 Ford Escape is a rare breed of compact crossover that deftly blends performance and utility. Sporty handling and a powerful turbocharged engine make the Escape drive more like a sedan, without sacrificing SUV versatility, making it a best-of-both-worlds choice.. Great Gas Mileage: 29 MPG Hwy.WHY BUY FROM USBaxter Ford West Dodge, a full-service Ford dealership in Omaha, is your source for new Ford cars, trucks, vans and SUVs both online and in our showroom. We also sell used vehicles and certified pre-owned Fords. At our 18505 California Street (185th & Dodge) location, we also provide parts and auto repair service. We're part of Baxter Auto, the largest dealer group in Nebraska.Fuel economy calculations based on original manufacturer data for trim engine configuration. Please confirm the accuracy of the included equipment by calling us prior to purchase. S trim. Back-Up Camera, Flex Fuel, iPod/MP3 Input, Onboard Communications System, Smart Device Integration. EPA 29 MPG Hwy/21 MPG City! Warranty 5 yrs/60k Miles - Drivetrain Warranty; CLICK NOW!KEY FEATURES INCLUDEBack-Up Camera, Flex Fuel, iPod/MP3 Input, Onboard Communications System, Smart Device Integration Rear Spoiler, MP3 Player, Keyless Entry, Steering Wheel Controls, Child Safety Locks.EXPERTS REPORTThe 2019 Ford Escape is a rare breed of compact crossover that deftly blends performance and utility. Sporty handling and a powerful turbocharged engine make the Escape drive more like a sedan, without sacrificing SUV versatility, making it a best-of-both-worlds choice. -Edmunds.com. Great Gas Mileage: 29 MPG Hwy.OUR OFFERINGSBaxter Ford West Dodge, a full-service Ford dealership in Omaha, is your source for new Ford cars, trucks, vans and SUVs both online and in our showroom. We also sell used vehicles and certified pre-owned Fords. At our 18505 California Street (185th & Dodge) location, we also provide parts and auto repair service. We're part of Baxter Auto, the largest dealer group in Nebraska.Fuel economy calculations based on original manufacturer data for trim engine configuration. Please confirm the accuracy of the included equipment by calling us prior to purchase. FUEL EFFICIENT 29 MPG Hwy/21 MPG City! Flex Fuel, Back-Up Camera, Onboard Communications System, Smart Device Integration, iPod/MP3 Input. S trim. Warranty 5 yrs/60k Miles - Drivetrain Warranty; AND MORE!KEY FEATURES INCLUDEBack-Up Camera, Flex Fuel, iPod/MP3 Input, Onboard Communications System, Smart Device Integration. 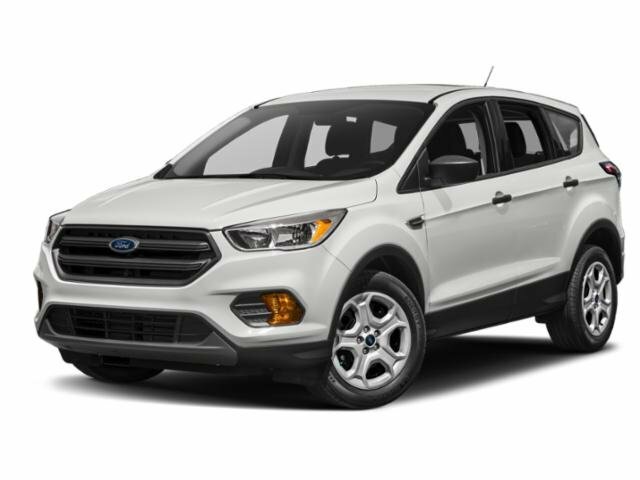 Rear Spoiler, MP3 Player, Keyless Entry, Steering Wheel Controls, Child Safety Locks.EXPERTS REPORTEdmunds.com's review says The 2019 Ford Escape is a rare breed of compact crossover that deftly blends performance and utility. Sporty handling and a powerful turbocharged engine make the Escape drive more like a sedan, without sacrificing SUV versatility, making it a best-of-both-worlds choice.. Great Gas Mileage: 29 MPG Hwy.BUY FROM AN AWARD WINNING DEALERBaxter Ford West Dodge, a full-service Ford dealership in Omaha, is your source for new Ford cars, trucks, vans and SUVs both online and in our showroom. We also sell used vehicles and certified pre-owned Fords. At our 18505 California Street (185th & Dodge) location, we also provide parts and auto repair service. We're part of Baxter Auto, the largest dealer group in Nebraska.Fuel economy calculations based on original manufacturer data for trim engine configuration. Please confirm the accuracy of the included equipment by calling us prior to purchase.